"Madison Area's Most Affordable Private Golf Club and Social Membership Venue Located in Cambridge, WI." Lake Ripley Country Club was established in 1915 in beautiful Cambridge, WI just east of Madison in Dane County. We have the most affordable and playable private 18-hole golf course in the area. We have the most affordable and playable private 18-hole golf course in the area. Our golf course features beautiful tree lined fairways that has a layout that will please players of all abilities. On average 18 holes takes less than 4 hours, and we offer three sets of tees to challenge golfers of all levels. 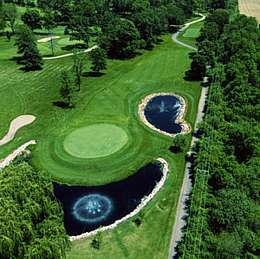 Lake Ripley Country Club in Cambridge, WI is centrally located on Highway 12 between the Southern Wisconsin cities of Madison, Fort Atkinson, and Jefferson. We are also just minutes away from Lake Mills, Deerfield, Johnson Creek, Watertown, Milton, and Whitewater. Join us for a great season of golf! 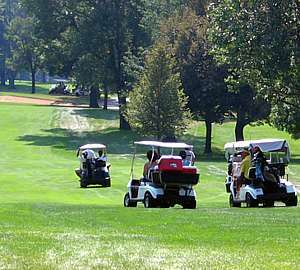 Lake Ripley Country Club schedules many opportunities for all levels of golfers to participate. Every Tuesday, our ladies' organization enjoys a day of golf, dining and cards. Also with each year, our Junior Program continues to grow and improve. Many of our juniors have competed at high school state tournaments, college golf teams, as club professionals and even on the PGA Tour. There has never been a better time to become a Lake Ripley Country Club member. Discover a wonderful selection of golf and social activities for the entire family. Fridays: Our popular fish fry in the dining room is a wonderful social event which includes a variety of steaks and seafood specials. Weeknight Specials: Bluegill and steak will round up a great day on the course. Enjoy a wide variety of golf outings, occasional card tournaments and lively theme parties throughout the year. Our members are most important and it shows in attention to detail through our amenities and private club service. Our professional and courteous staff is always here to help shave strokes off your game, plan those special events, and cater to your every need. Also Perfect for Receptions, Luncheons, Parties, Golf Outings & more! 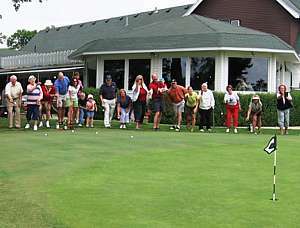 The club amenities at Lake Ripley Country Club have played host to many exciting events through the years. If you are looking for a place to host your special event, look no further than Lake Ripley Country Club. Our club is open for luncheons, receptions, parties and golf outings. Let our professional staff help you plan a most extraordinary day! 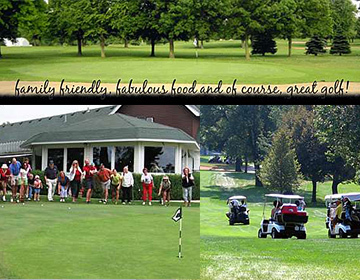 Join Lake Ripley Country Club today for the BEST Madison area Private Golf Club experience. Become a golf club member or even a social member.